Update 14th Dec. Wireless AC confirmed. 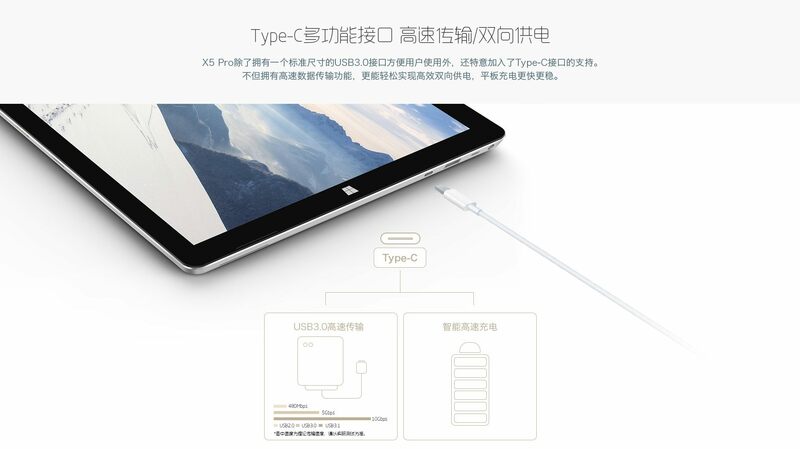 99% Sure it also states USB 3.1 Type-C Data and charging judging by these press images. Updated 7th Dec. Teclast held their press event yesterday, price confirmed to be 2999 RMB in China, which is around $430 USD. International model pricing hasn’t been released, but it’s expected in January 2017 the international model. This just means a version in English, with support for language packs. Some more specs confirmed, it definitely has dual-band wireless AC & 8GB of RAM. Wireless AC *100% confirmed 5Ghz Wireless AC 433mb/s max speed. There is always the possibility some of these specs are incorrect, no mention of stylus support which I find surprising. Could still be there, just no mention of it yet. Also, note that Teclast’s marketing department are famous for making bezels and the tablet look thinner than real life, I hope it’s very similar to the images. And looks like it could be the best tablet out of China yet? Price wise, this will definitely be more than the newly announced Cube Mix Plus also powered by an Intel Core M3-7Y30. Thanks to Alber in the comments for the tip. Teclast has and up and coming press conference on the 6th of December in the Guangzhou Grand Hyatt Hotel, where they will announce their latest flagship 2-in-1 tablet. This new flagship will be powered by the new Intel Core M3-7Y30 (2.6Ghz max clock rate and Intel HD 615 GPU) and have a 240GB SSD, unfortunately, no further details released until the press event which will be presented Teclast’s CEO with Intel and Microsoft representatives. I’ll make sure to check this out on the 6th and post all the release details, here’s hoping it’s something special. Fully laminated 3:2 display with stylus support would be a great start and at least 8GB of RAM like the X3 pro. Kickstand design, with type cover style keyboard. What do you think the specs will be? And not that, squint and not nothing, I do not know what else to do, did it come with defect, something missing? this review claims the x5 is dual booting android and windows. is this true? Chris, i want to ask you something. i’m actually planning to buy this one, the only one with stylus support, good performence. But. I found it just right now on gearbest preorder is active, BUT THE PRICE IS CRAZY. It’s 562 Euro..
is it okay to buy Cube i9 this day? it doesn’t support stylus but it has core m3. there is no core m3 with 12 inch under 450 Euro. 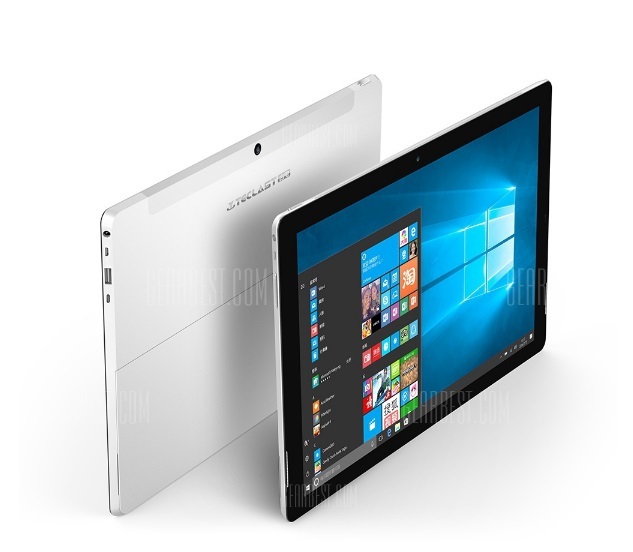 or should i wait until Chuwi produce a 13.5 inch Tablet? i saw so many issue on both Cube i9 and Chuwi hi12(dead issue). so i expected so much on this tablet. but it’s too expencive. and want to ask one more thing on Banggood Prioirty shipping. Did you pay custom duty on the Priorty shipping? i live in Germany, and want to buy without custom. but i advice to take 10€ more for shipp insurrance so 499€. that’s the price i wan’t to put on it so i pre order. So much thanks for you! That’s a reasonable Price that under 500. I will order it after watching Chris review anyway. But many thanks to you. I hope that coupon will be able when i buy this tablet. I only found the Surface pro 4 for around 850€. So I would not consider that the same prize… might have a better screen, but only 4GB of RAM. I’m pretty sure there is no under 600 Euro (in Germany even more) core m tablet. Maybe in Usa..
Do you think the prize will drop during the Presale timeframe? Or is it better to wait until a few weeks after the first units are shipped and hope the prize drops a bit after the start?? Hi, First release the price is always high. I got my X5 Pro and it should ship in the next day or two. 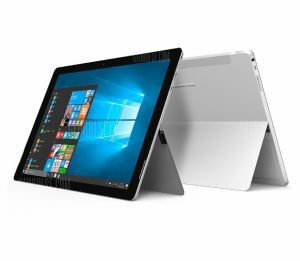 The Cube i9 is good, Similar to the Surface Pro 3/4 design. Not sure about Chuwi’s tablet. It’s going to have a N3450 which is much weaker than a Core M3. More like Atom X7 performance. The Banggood priory shipping for me in Spain comes tax free, but not sure about Germany. where did you get yours shipping now already? 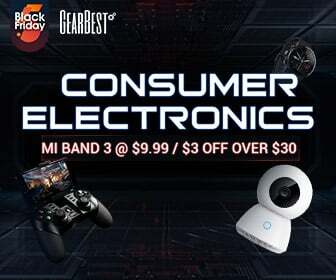 Banggood or Gearbest? How long do you think it will take till you get yours delivered for a quick first video? Actually i saw on Gearbest prioirty shipping is Tax free but not sure about Banggood. thanks! Glad to hear you will be recieve very soon fast. I will not buy tablet before see your review anyway! Thanks! Chris the image clearly states USB 3.0, the usb 3.1 speeds look to be just for reference. So far I have seen confirmed Wireless AC and a lot of pictures where you can see a stylus…. together with the mention of Windows Ink, it might just hint on the Stylus support. I wouldn´t bother much about the information from GB Customer service. In my experience they rarely know what they are talking about when it comes to these kind of things. I am sure the X5 Pro will have 5 GHz wifi. Yes me too, X3 Pro had Wireless AC. Would make sense for them to use the slower 2.4Ghz only Wireless N.
I am really hoping for this tablet to be great!! 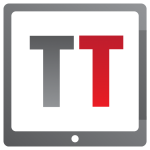 Now I am hoping for the detailed specs and the review of this Teclast X5 Pro. I had a really close look at some other tablets already… but the Cube i7 Stylus only has 4GB RAM, and is only 10inch Display. The Cube i9 is also lacking the 8GB RAM, but apart from that it looks really solid!! The Teclast Tbook 16 Power got 8GB of RAM but I dont like the CPU (X7 – Z8750). I know that this is not cheap, but I am ok with roughly a 500€ prize tag…. So I would really hope that the X5 Pro delivers the best of both worlds from the Cube i9 and 8GB of RAM together with the Kaby Lake CPU (M3-7Y30)!! 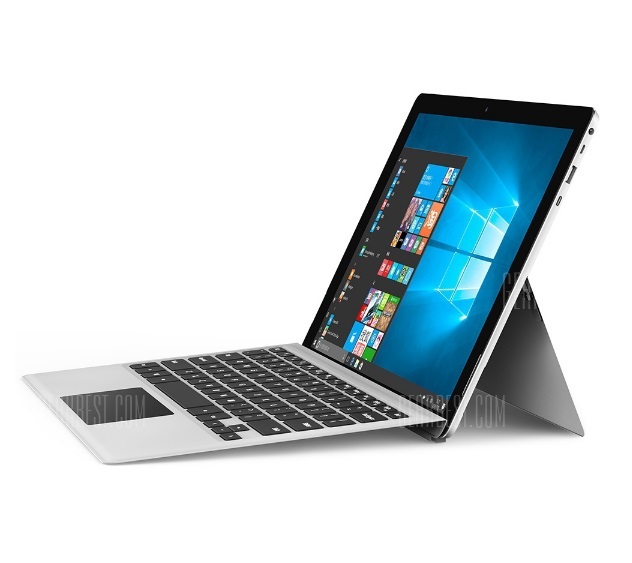 I will be getting this Teclast unit…NO CUBE TABLETS for me anymore…I got 4 faulty Cube i9s in a row, preceded by a faulty Cube i7 Stylus!! Another friend of mine just received his Cube i9 and it was faulty too. which are the faulty you found it? I guess you mean what was the fault with the Cube i9 tablets that I got? …and all of them had REALLY serious coil-whine problems, but especially the last one…electrical noise was just as loud as a spinning fan. and the Cube i7 Stylus I had before that also had early battery wear, within 2-3 charges. While the (outer) materials that Cube uses are generally good, quality control at the factory seems non-existent…issues with the i9 seem to be multiplying instead of being resolvedin new manufacturing cycles. So I will never buy Cube again, especially not an expensive model over 250$. 5 faulty CUBE tablets is too much of a concentrated statistical example for a single user. “I will be getting this Teclast unit…NO CUBE TABLETS for me anymore” After getting a X3 Pro with a buggy battery, MicroSD Reader and accelerometer I thought the same, just the companies switched. I guess this means I’ll have to wait for a few months after a new model is out to see if it is worth getting it. Seems like you can’t trust their brands. I wonder if the problem is the price of 2999 RMB. Maybe they don’t want to break this wall and reduce the costs instead to be profitable. …I got FOUR FAULTY TABLETS IN A ROW…4 Cube i9s. So in contrast to yourself, my stance is well grounded. 4 in a row?! That’s crazy. I’ll be getting one of these to review. Yes I’ll be getting one as soon as I can. It was posted on the Teclast Weibo. I’m looking forward to see it! I’m waiting this one and Chuwi 13.5 . it will be great when both come in this year. But i think 500Euro is a just little bit expensive. Later that price will drop, but if you don’t mind the smaller size and 4GB the Cube Mix Plus I think will be the best value Core M3 7Y30. 13.5″ is certainly going to be too large for some. It’s the Surface Book screen, so the main use is more a laptop than a tablet with that size. And I imagine it will be over $330 with that screen. I like that it’s got a pretty decent screen. Core M3 is great. 8GB is also great (and better than for example Surface Pro 4 M3 can provide). But the big let down for me is that subpar 5000Mah battery. I guess we’re spoilt by the ChuWi Hi12. Also, really would want USB Type-A slots. It does look like it has one actually, but surely that would have been listed. USB 3.1 type-A would be great, but I have a feeling it’s only USB 3.0. Actually a 5000mah battery is fairly big. Also the cube i9 have nearly the same capacity and the surface pro 3 have a 4500amh battery. The chuwi hi12 seems to have a bigger battery than the x5 pro but they are nearly the same size because the former have a 5v battery (as any other Atom and ARM device) and the latter have a 12v battery (Core CPUs). To know how big a battery really is you to know his Watts-per-hour (Wh) which you can calculate multiplying Volts (V) with Ampere-per-hour (mah). For example the chuwi hi 12 have a 11.000mah battery which multiplied by 5 is 55.000wah and x5 pro have a 5000amh battery which multiplied by 12 is 60.000. 1920/1200 pixels is 16/10, not 3/2, unfortunately. Also, no wireless AC according to the GearBest listing. Got to be wrong, the X3 Pro has Intel dual band AC 3165 chip in it. Also I think he was saying it would be nice if it was 3:2 ratio. Ok after all the reveal that the cube i9 8go that i want. is there (mini?) hdmi out ? Did you think they will let install custom OS on it ? 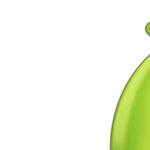 like remix OS or linux or android x86 ? No point aquiring one of these if they really do come at those prices.. It will come out I think around $500, but the price should drop. Looks like the Cube Mix Plus will be the better option price wise. I also prefer the larger screens. Mi Notebook Air 12 is a good option, still using mine, love it. Great keyboard and touchpad. Core M3 is great for everything apart from serious gaming or video editing, so the 7Y30 should be even better. -Mi notebook isn’t a tablet not the same usage. Mi notebook needs a touch screen and 360 yoga hinge then it would work for me. hmm anyone knows if it is stylus support ? Nothing yet, hope it does have stylus support. Be a bit silly if it didn’t, after all it has to compete against the Cube Mix Plus with Wacom stylus support. I would say no at this point. Otherwise it would be in the press images. Thanks, they jumped the gun! My guess was almost spot on (It really was a guess too) I think that panel could also be fully laminated if it’s the same 12.2″ Tbook 12 Pro screen, which I guess it is. No doubt after the exporters add their cut to it. Would be around $430 in China, making it about $500 or $480 for us. Which means the Cube Mix Plus might be a better option if you don’t need 8GB of RAM. I hope it still has a separate HDMI output and that the keyboard trackpad is usable = no gestures! Let’s hope they get rid of the X2/X3 chassis, small bezels and use a the 13″ 3:2 ratio 3000 x 2000 Surface Book screen in it like that new Chuwi tablet! Or the Surface Pro 3 screen, that would be awesome. Has there been any new info on that new Chuwi tablet? Nothing yet. It’s meant to be coming very soon an Apollo Lake N3450 3000 x 2000 13″ tablet. I’m checking all the time Chuwi’s Weibo for more info. Good to see it’s gone. All new design, that looks like a SP4! 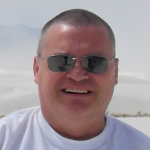 Why do you want all the tablets to be on the same formfactor. 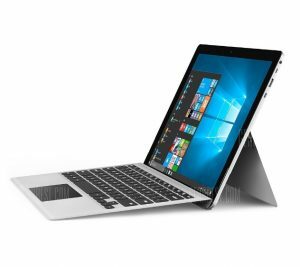 Dont see why the Teclast need to be an SP4 and have an rounded bezells, (in the end’ you aint gotta make love to your tablet). there is so manye normal tablets in the traditionel soft non edgy look in 3:2 with rounded corners so you can feed pigs with them, and in my view with an design that looks identical amongst so many different models. got the X2 and partically like the long formfactor and that there is an distinctive difference between landscape and horisontal, and on 3:2 there aint..